In anticipation of our 30th Annual Celebration and Symposium in 2003, I will be preparing a list of books written by our symposium speakers. This can be a valuable resource to our new members as it will be extensive literature on women in design and architecture. I am interested in books on related topics that you may recommend to OWA members. Please forward titles to muiho@uclink.berkeley.edu. Thank you. The Milka Bliznakov Prize, confers in recognition of research that advances knowledge of women's contributions to architecture and related design fields, was created to encourage the use and growth of the International Archive of Women in Architecture (IAWA). The Board of Advisors of the IAWA, following a two-stage process, awards the annual prize of $1000. The first stage is an open review of proposals that are submitted, the second stage is the extension of invitations to selected finalists. The submission of proposals must be postmarked by September 1, 2002. Proposals should consist of a 250-500-word discussion of the original projects, research or scholarly work relative to the IAWA collections. They should exemplify the contributions and advancement of women in recognition of their careers in design. Details about the IAWA and the Bliznakov Prize can be found at http://spec.lib.vt.edu/iawa/. For more information, contact Donna Dunay, AIA, via email or phone at (540) 231-5512. In the past year, I have heard from several OWA members who are in career transitions. They are either opening their own office after many years of gaining experience in other firms or closing their established firm to seek secure employment or transition into the blissful season of retirement. Whatever the case may be, they are confronted with assessing their past work and looking at options of preserving it for the future. One of these options is to donate the work to the International Archive of Women in Architecture (IAWA) at Virginia Tech in Blacksburg, VA. Past examples are the late Olive Chadeayne, Rebecca Wood Watkins, Kathleen Cruise (an alumni of Virginia Tech), Sally Bould Stan, Vera Jansone, Lois Gottlieb and Sigrid Lorenzen Rupp. Other OWA members are considering the same but have not yet found the time to carry it out. As a Member of the IAWA Board of Advisors I am contacting and encouraging OWA members to consider donating their work to the Archive. If you are interested please call me at (415) 681-7594 and I will be glad to assist you. "The International Archive of Women in Architecture (IAWA), established in 1985, is a joint program of the College of Architecture and Urban Studies and the University Libraries at Virginia Polytechnic Institute and State University (Virginia Tech). 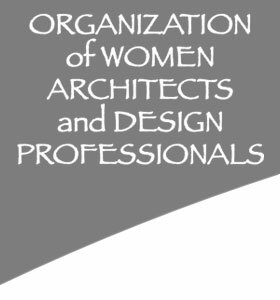 The archive documents the history of women's involvement in architecture by collecting, preserving and making available to researchers the professional papers of women architects, landscape architects, designers, historians, urban planners, critics and the records of women's architectural organizations from around the world. Our collections fill serious gaps in the availability of primary research materials for architectural, women's, and social history research." Please visit http://spec.lib.vt.edu/IAWA. Talking about the impact of sexism, racism or any form of discrimination is not easy and done rarely. This book will provoke dialogue and increase understanding among architects, as they are the focus. It offers an opportunity for all of us to increase our ability to deal with differences gracefully and fairly. Ms. Anthony spotlights the complex and frustrating consequences of discrimination in our profession. She tells of how individuals cope with a hostile climate in schools, workplaces and in the AIA. Her goal is to trigger significant accumulative actions to diversify, humanize and expand the field of architecture. It would seem that we, as Architects, who often call ourselves problem solvers and designers, would have taken the lead on addressing these problems. She demonstrates with perspective from various angles that architects are not trying hard enough and this leaves damaging and illegal results. Her research shows that the American Bar Association and the American Medical Association have reforms well in place, invest in research and generally leave AIA in the dust when it comes to welcoming females and non-whites. She describes how the consequences of discrimination plays out systematically in what she terms the structure of the education and practice of Architecture. The chapter on Awareness is most useful. It points out how to be a better observer which will lead one into being more comfortable about diversity. The suggestion is that by sharpening our awareness, we can change what it means to "fit in". From "fitting in" because he or she looks just like me to "fitting in" because I feel more comfortable and therefore regard those different from me with respect and fairness. I feel that this is an excellent resource for everyone in the field of Architecture, for schools, the work setting, and a handbook for organizations like AIA, Assoc. of Collegiate Schools of Architecture and regional affinity groups like our own OWA. OWA, over the last thirty years, has addressed almost every issue discussed in this book. Indeed, OWA has made a positive difference to many individual women and men in SF Bay area and beyond. We mitigated some very valuable methods to do so, the Mock Exam, the OWA Health Plan and the Mid Year Retreat to name three. Yet, as an organization, OWA has not been an active watchdog or reformer of what Professor Anthony calls the structure or the way architects are educated and the way architects organize themselves in practice. Lets say, Designing for Diversity becomes required reading for students and registered architects, it would at least provoke the awareness of these issues for the better future. We can make a start by having a discussion about it among our members. Finally, Margaret Chu is doing what she loves &endash; sculpting. She has been taking sculpture classes at the College of Marin for a year. Her alabaster piece is on exhibit at the Annual Student Art show at the college. Margaret first started her career in chemistry. After thirteen years as an analytical chemist she decided to return to school. She decided to pursue her Master's degree in Architecture at UC Berkeley. Since then, her career evolved by way of construction administration for projects such as a multipurpose school buildings, a library, a courthouse, a small private craft airport facility, and an assortment of industrial maintenance buildings. She comments that although there are many conflicts to resolve, schedules to juggle and budget issues to address, it is quite a satisfying sentiment once a project is finished, knowing that was crafted with quality and sound construction. What a unique path Margaret has taken, to come from chemistry and architecture, she now hones her talents and knowledge into the arts. Sculpture offers hands on application and fulfills her creative drive. Not only does she have considerable experience in woodworking, but is also currently acquiring new skills in industrial metal welding. Occasionally, Margaret works on residential projects and pro bono work for non-profit organizations. She has been with OWA for fifteen years. Are you craving a sublime dining experience? Searching for a sensory-filled feast of lush colors and glorious aromas? Ono Mazé in downtown Walnut Creek offers all that! And I haven't even begun to describe the food! OWA members enjoyed fabulous food and a tour of Marian Ring's latest design, "Ono Mazé" (which means delicious mix in Hawaiian), a pan-Asian restaurant located at 1616 N. Main Street. Ono Mazé is an elegant and stylish showcase of environmentally friendly building materials and a demonstration of Marian's strong design philosophy. She credits much of her current thinking to CWED (California Women in Environmental Design), an organization that championed principles of socially conscious and environmentally friendly design. Marian says, "Through CWED, I came to understand the concept of Design = Leadership, that is that every decision we make (or don't make) impacts our environment. There's no getting around the fact that we are all connected &endash; to each other and to our planet." The 80 seat restaurant features "green" building products at every turn, natural cork flooring, bamboo plywood cabinetry, recycled glass countertops and sisal and grass cloth wall coverings. She also custom designed the bamboo tabletops. Marian described these products as "Bio-Nutrients" or "products that are designed to return to the biological cycle". In keeping with a less resource-intensive design philosophy, Marian used locally produced products such as the recycled glass countertops made by a west Berkeley-based company called Counter/Production and the hand blown glass shades made by Berkeley-based "Kindabugsya". She also shared many of her restaurant design "secrets" such as shaping space through curves (turning a leftover corner into a prized table) and using strong textures on large wall areas, thereby limiting the need for expensive artwork. Instead, she intentionally creates distinct spaces for artwork that resonate with the project's design. Finally, Marian pointed to the highlighted alcove at Ono Mazé's entry. It features the Hawaiian Goddess of Fire, Pele, who symbolizes fiery creation and destruction. Marian tells us, "She represents volcanic action and the cycle of life. I hope that I've created a space which honors that cycle." Venetian plaster is a water based synthetic that can be colored, filled with texturing materials or stained. It is applied with a surface blade, trowel or sponge. Before it is tinted the plaster is a white color that is translucent when spread thinly. The surface can be polished with a blade to achieve a marble like sheen or waxed and buffed to shine. Mica powders can be added to the wax for a metallic finish. For a matte finish earth pigments are added. The plaster used is called Kolkostica, it can be burnished or waxed. Waterproofing material is added for projects such as bathrooms. The effect is visual depth, variations in color and smoothness in texture. Come to join us in our November meeting when Tricia Felber will be speaking about this wonderful medium. Tricia has a degree in painting and a minor in print making from the University of Colorado. She founded her firm, 'Interior Art & Design' in 1989 and has since offered her talents in mural work, wall finishes and faux bois to residences and businesses in both New York and the Bay area. Hillary Conlon will be off and deferring her term for a year on the Steering Committee to devote her time to her baby. Marian Ring will take her place, starting July 2002. Marian Ring was educated at the School of the Art Institute of Chicago, in Interior Architecture and Design. She comments, "Restaurants offer a unique opportunity to create dramatic, entertaining interiors with ample leeway to experiment with materials. I also enjoy serving restaurateurs because they are notoriously passionate, creative and hardworking business people." Marian relocated her office to Walnut Creek in 1995. Although she specializes in restaurants, she also designs offices, retail stores and residences as well. Kathleen Cruise is once again joining our Steering Committee this Fall. Presently, Kathleen is the Director of Facilities at Fort Mason. She is responsible for planning, development, and operations. Fort Mason is part of the Golden Gate recreation area and showcases a variety of cultural and artistic exhibits. On the average, the site is the host of 15,000 events and attracts 1.6 million visitors annually. Kathleen is a licensed architect and general contractor. Guest speaker, Darlene Jang AIA Principal of Barcelon & Jang will be discussing the renovation of the historical Julia Morgan YWCA in San Francisco's Chinatown, to house the Chinese American National Museum devoted to the exhibition of historical artifacts of Chinese culture. The work on the Chinese American National Museum involves ADA improvements, seismic upgrade and adaptive re-use of the building from a gymnasium and auxiliary spaces into a museum and educational center. Barcelon & Jang will be precisely attentive to details like the Chinese motifs, original space and design intentions of Julia Morgan. The firm Barcelon & Jang was established in 1976. Since then, they have specialized in three areas: museum and gallery architecture, affordable housing and community / academic facilities. Their first winning new museum commission is the Triton Museum of Art in Santa Clara, CA. 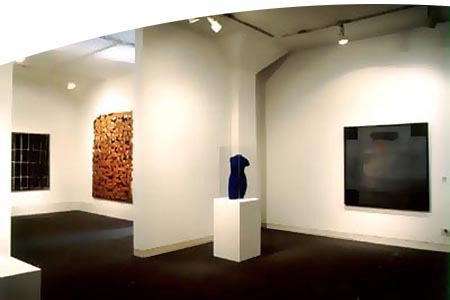 Current projects include the new San Luis Obispo Art Center and the new Pence Gallery Museum in Davis, CA. The new website is gradually developing. You can find current and past newsletters online. We are updating the index of newsletters that spans as far back as thirty years. This information will be a permanent part of our website. Also, we are selecting photos from our past collections to be used as our section visual.